I came across this on Nasa’s Instagram feed. It’s probably one of the saddest photos I believe I’ve ever seen. I’ll quote Nasa to give you the details. 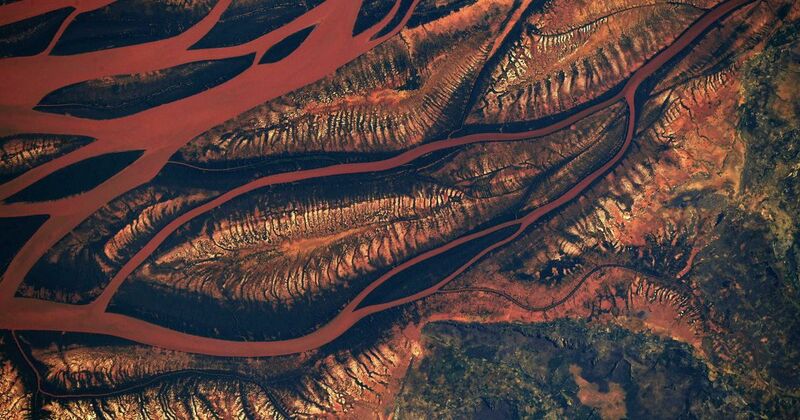 From 250 miles above Earth, orbiting the planet at 17,500 mph aboard the International Space Station (@iss), astronaut Ricky Arnold (@Astro_Ricky) captured this photograph of changing landscape in the heart of Madagascar. You can see drainage into the sea in the Betsiboka Estuary due to decimation of rainforests and coastal mangroves. This is just one more example (out of an infinite number) of the incredibly destructive force we are on this planet. God help us all, if He wants to any more. A little over a year ago (April 2016) I wrote my second post about building a spaceship to go to the Moon. I wanted to get back to this particular thread, in part, because I needed to re-create the graphic in OmniGraffle. The reason for that is my migration from Windows 10 to a Macbook Pro running macOS 10.12. I’d created the earlier drawings in Visio, but for whatever reason Microsoft doesn’t release a version of Visio for the Mac. Furthermore, my version of Visio for Windows, release 2013, won’t work with Office 2016, and Microsoft has decided it won’t upgrade my 2013 version to work with 2016 office. I paid full price for Visio 2013. OmniGraffle for the Mac is much less expensive, and just as powerful for what I need. And it looks a lot better. From this point forward this is the graphic I’ll use, when I need to use it. The biggest problem with amateurs such as myself talking about personal space ships is forgetting budgeting and logistics. Budgeting means finding the means to pay for everything, from raw materials (which are expensive) to manufacturing to running it and ongoing refurbishment and repairs when needed. The closest examples to this is civilian aviation, in which a small aircraft capable of being licensed is expensive to purchase up front, and then has a constant cost due to operations and maintenance. And that maintenance is important due to being able to maintain air worthiness. Your aircraft must be airworthy in order to be authorized by the FAA to operate an aircraft in flight. You pay for that, and more significantly, you make sure you have the necessary budgeted monies to pay for that. Budgeting is more than just collecting a big pot of money and then spending it. Money has to be managed and fed, in proper amounts at the proper time, to multiple cost centers in order to get work done. Budgeting means you make sure you estimate (and then get) enough money to start with, then tightly control how it’s used over time. Because without a well-funded and well-run budget, nothing gets built nor launched if it is built. Part of the budget feeds a critical capability called logistics. Logistics, with regards to spaceflight, is the detailed coordination of a complex operation involving many people, facilities, and supplies. Multiple companies involved in spaceflight (Boeing, Lockheed, SpaceX, Orbital Sciences, etc) have a large logistics component of their companies of almost mind-numbing complexity. They have to coordinate everything from gathering materials to building rockets to testing them, then matching them with paying costumers, to transport and setup through final launch. And with SpaceX, the landing and refurbishment of Falcon rockets (and subsequent re-use back into the launch process) is an added wrinkle to the whole logistical process. While doing all this everyone has rules and regulations that must be followed for proper safety and quality assurance, which adds more to the overall cost. And before the critics in the peanut gallery pipe up, you need those rules and regulations because of the harsh, unforgiving nature of space itself, let alone the act of launching a rocket with a payload. And then there’s the logistics of the payload (satellite et. el.) manufacturers, who provide the primary reason for launching lots of rockets in the first place. They have their logistics systems, which must mesh with the rocket makers. And the rocket makers must mesh with NASA and the Air Force, who control the launch facilities through yet another complex logistics system which has been built up and tuned over decades of hard won knowledge and experience. Rockets just don’t go up on a whim. Launches are deeply planned events to minimize risk and maximize success. Poor planning often results in loss of expensive hardware, and sometimes, human lives. Rocketry boils down to the controlling of incredible energies to move material and humans off the surface of the Earth and into orbit. 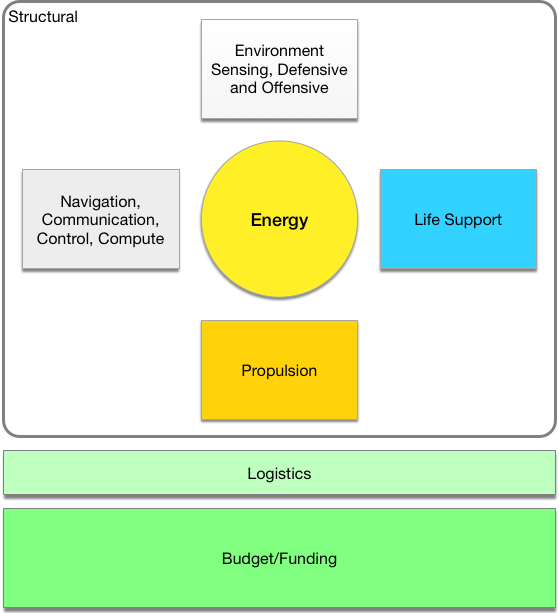 Science and engineering play vital roles in rocketry, but logistics and budgets are equally important. It might even be said that logistics plays the most important role of all.